The feeling of not being good enough is widespread among the population regardless of age or social status. Even people who, from society’s standards, are highly successful may very well feel they are not good enough and that something is missing. For most of my life, I suffered from that feeling of not being good enough. When I joined a master’s degree program a year and half ago, I was shocked to see how smart some students in my class were. I was surrounded by people who had more work experience than me and were way more confident than I was. Sometimes I felt stupid in their presence. No matter how hard I tried, I just couldn’t find a way to contribute in class. Never befor had I felt such a deep sense of not being good enough. I perfectly understood that there would always be people around me that are more confident, more attractive, smarter, richer, or more knowledgeable than I am, but this still didn’t make me feel better. Since I always felt that my duty was to contribute to society, feeling that I couldn’t contribute as much as I would like to made it difficult for me to maintain a healthy self-esteem. When it comes to self-worth, experts generally recommend using positive affirmations, learning to be more self-compassionate, or achieving small goals to create momentum and build confidence. These techniques are certainly good ways to build self-esteem, and I used them personally with some success. However, it’s likely that they might be missing the point. I started wondering if, during all that time I spent trying to be good enough, I wasn’t actually fighting the wrong battle. Our society conditions people to tie up their self-worth to how much they “contribute,” and that supposed “contribution” often refers to the amount of money we earn or our social status. Society creates an artificial duality between “successful” people and others. Nowadays, the idea of success is a constant obsession. Media and personal development websites are continually talking about what more can be done to become more successful. Success has become the Holy Grail to pursue, the only path to living a life worth living and earning recognition from society. However, I could easily come up with names of people that are regarded as “successful” from society’s standards, but are not from an objective point of view. Interestingly, the definition of success is rarely explained. It seems as if we have all agreed with society’s definition. There appears to be very little space to question it; however, could the assumption under which we operate our life actually be false? The entire paradigm of “good enough or not good enough” comes from the misconception that we need to become “somebody” and that other people have the power to determine our self-worth. It is a mere product of social conditioning, not of reality, and it certainly doesn’t have to be that way! 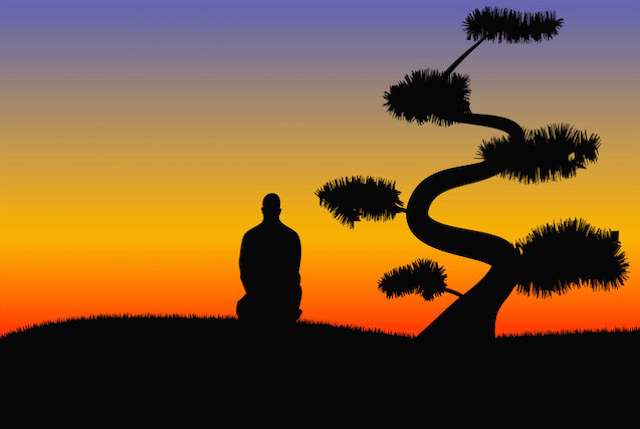 Depending on your belief or reasoning, you could spend your entire life just meditating under a tree, doing absolutely nothing, and you would still be totally relevant as a human being. So why don’t we get rid of that concept once and for all, discard it as irrelevant, and rebuild our life on a healthier assumption? Being a total “failure” under society’s standards can never ever make you a failure as a human being. Nothing can turn you into a not-good-enough person without your consent, without you buying into the current fallacious assumption that society is telling you to live under. Sure, you might have failed at many of the things you’ve tried and some of your friends might be more “successful” than you are, but then, does that mean you are not good enough? Does that really mean you are not worthy? If you buy into society’s expectations, yes, probably. If you don’t, the question then cannot be answered, because it’s irrelevant! A tree doesn’t have self-esteem issues. A bird doesn’t ask itself, “Am I good enough?” Why should you? Are your attempts to become somebody actually working? If not, it might be time for you to stop trying to be “somebody” and just relax. Imagine the sense of freedom that you would experience if you were to stop trying to be “good enough.” Suddenly, the burden you’ve being carrying on your shoulders would become lighter. You could then enjoy your time with others without trying to impress them. You’d be able to free up your energy for more creative purposes. Suddenly, you could just be yourself. The greatest and wisest spiritual teachers of all time stopped trying to be somebody because they realized that it was not possible. If after all those years of inquiry and self-reflection they came to that conclusion, is it possible that they were on to something? So do you really need to be good enough? Are you fighting the right battle? This is something you might want to meditate on. It might require some time before you can change your former conception, but isn’t it worth trying? Personally, I chose to fight less and to progressively distance myself from the battlefield. I’m not “not good enough” or “good enough.” I am just who I am and that’s more than enough!